Having gone all the way to trek Kilimanjaro, most trekkers choose to extend their trip with a Tanzanian safari or even some beach time in Zanzibar or on the mainland coast. 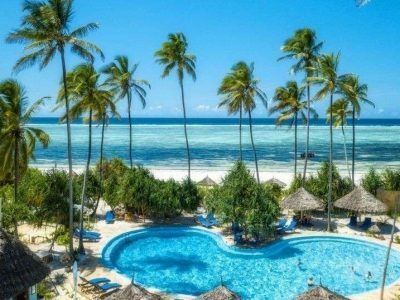 There are some fabulous beaches on the islands of Zanzibar, and many choices for an ideal spot to sit back and watch the white dhow sails cruising the startling blue waters of the Indian Ocean. Whether it is for an Zanzibar holidays, honeymoon or some post-safari relaxation; whether you prefer the blissful privacy of a private island or the amenities of a larger hotel; and whatever your preferred activities (diving and snorkeling, eating, sleeping, playing tennis, reading on a lounge), there are good options for every traveller.